With volumes varying from 1 1/2 oz. 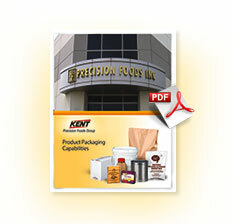 to 30 lbs., Kent Precision Foods Group’s jar and pail options are appropriate for a vast array of food items. Customers may opt for either partial or wraparound labels.